While most people might not be familiar with the name "Jerry Weintraub," they are bound to be familiar with the fruits of this man's labor. The driving force behind Elvis Presley, Frank Sinatra, The Ocean's Trilogy, John Denver and many more acts has just passed away and his death is a tremendous loss to the entertainment industry and the business world. A living incarnation of the notion that "they don't make them like they used to," Jerry was a man of many talents. His larger-than-life was well-known around the entertainment world as many heeded his ability to talk to and connect with anyone he came into contact with. His rolodex was as large as anybody's and despite reaching levels of success that most people dream about, he still maintained a perspective as a "kid from the Bronx." In the words of his brother-- "he's going to sell you something, you are going to buy it, and you will like it." In "When I Stop Talking, You'll Know I'm Dead," Jerry tells his story and spells out his mantra. A steely yet soft personality, he was wildly successful in a wide-ranging entertainment and business career that spanned over 50 years. Before becoming Elvis Presley's promoter, he called his-then manager (The Colonel) every day for an entire year. His idea was that instead of Elvis making deals with local promoters in each city he went on tour in, his team could outsource all that work to Jerry. When the Colonel finally called Jerry's bluff and asked him to meet him in Las Vegas with a check for a million dollars, Jerry scrambled and found the money to make the deal happen. At the tender age of 28, he was playing in the big leagues-- from the moment he booked that tour, Jerry never looked back. What is more resounding than of his success is the way he dealt with failure. 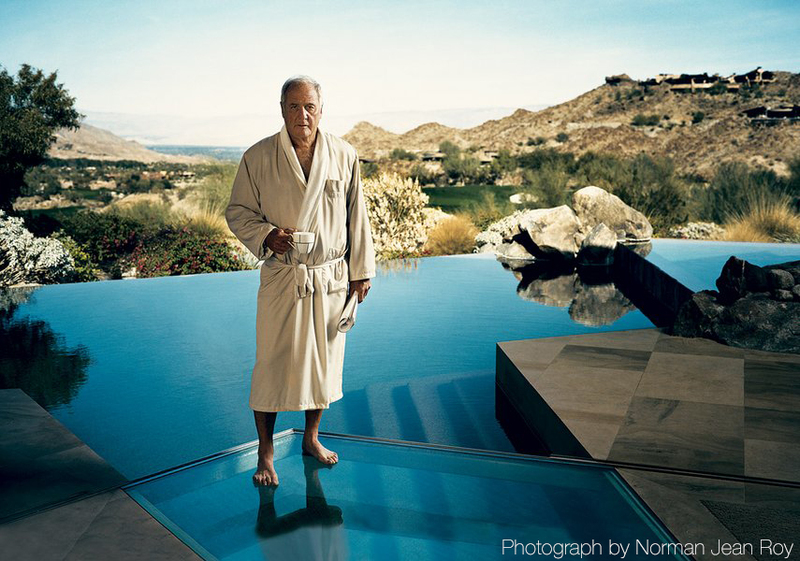 At age 50, Jerry founded Weintraub Entertainment Group and raised millions in order to turn it into a major production company. With a few bad bets on movies and a lack of further financing, the company went belly up and declared bankruptcy. Understandably, Jerry was destroyed by this outcome. Despite having lost millions of his own money with the company, Jerry did not miss a beat. Steve Ross, then-CEO of Warner, told him "You are a talented guy. That talent did not go away. The company went away? So what! Companies always go away. They're a dime a dozen. It's talent that counts!" With that, Jerry went back to what he did best. As Ernest Hemingway said, "you can never tell the quality of a bullfighter until that bullfighter has been gored." Jerry has been gored and he has won-- as many people have. What set him apart from most was his ability to maintain his gravitas and grace through the ups and downs. Jerry will be remembered as an example of how to live a life of meaning, virtue and success. Just like Elvis and Sinatra have lived on past their deaths, so will Jerry. While he may have "stopped talking", Jerry is surely not dead. He lives through the acts he has brought to life and the lessons he has taught many, including myself.